ILLYRIA. Dyrrhachion. 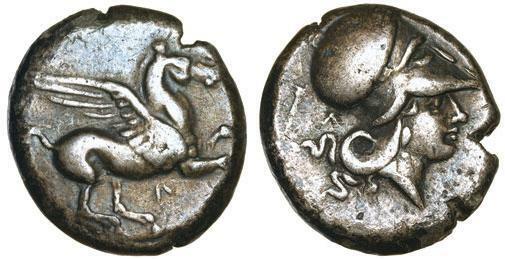 Stater (Circa 350-300 BC). Obv: Pegasos flying right. Rev: Helmeted head of Athena right; dolphin above, club and Δ behind. Calciati, Pegasi 21. Condition: Very fine. Weight: 8.4 g. Diameter: 20 mm. 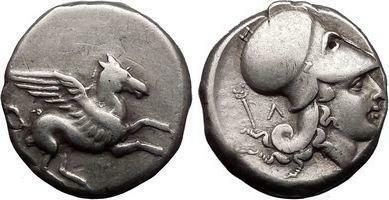 COINS OF THE GREEK WORLD CORINTH Stater c. 400/375. Pegasos flying r., koppa below. Rev. Head of Athena with Corinthian helmet to r., EYΘ retrograde above, aphlaston behind. 8.57 g. Ravel 650 (P302/T425). Pegasi 246; BCD Coll. Corinth -. Extremely fine. [ 3363] AKARNANIA, Leukas. 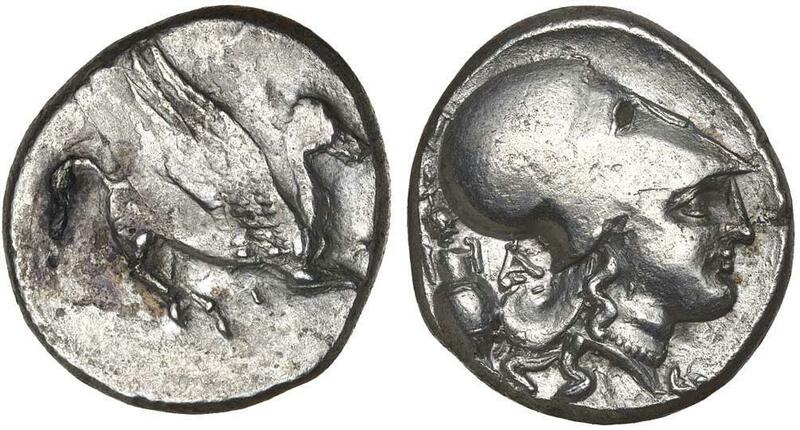 Silver Stater (22mm, 8.44 g, 2h).Circa 350-320 BC. 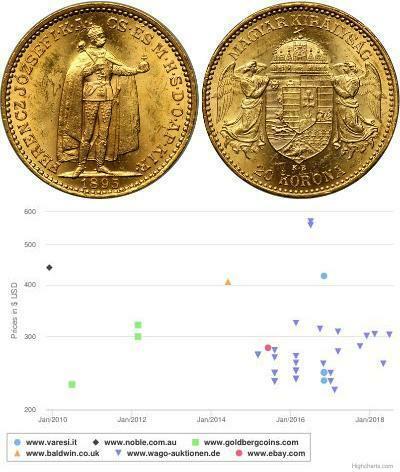 Referense: BCD 221 var. (Λ on obv.) Pegasi II 93 corr., (Λ on obv. described but not present). Helmeted head of Athena right; Λ and kerykeion behind. Pegasos flying right. [ 4386] CORINTHIA: CORINTH Silver Stater (21mm, 8.25 gm.) 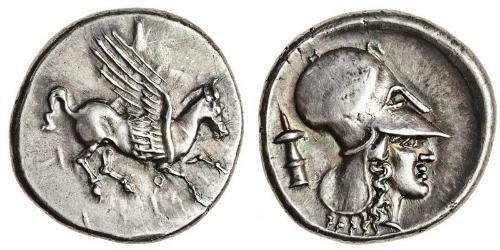 Struck 400/375 B.C. Reference: Ravel 650 (P302/T425). 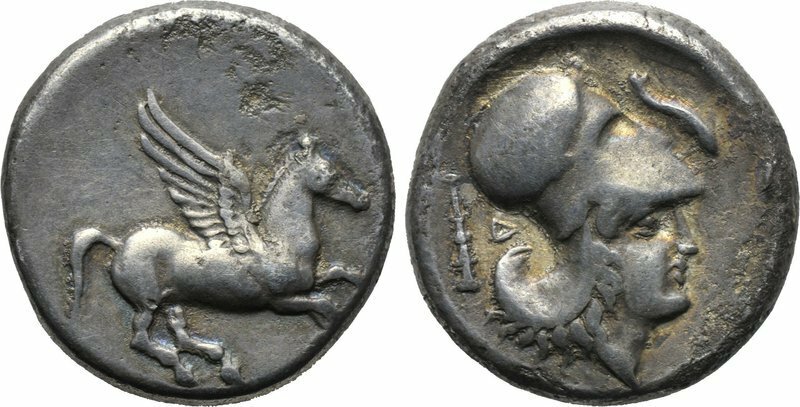 Pegasi 246; BCD Coll. Corinth. Pegasos flying r., koppa below. Head of Athena with Corinthian helmet to r., EYΘ retrograde above, aphlaston behind. [ 4387] CORINTHIA: CORINTH Silver Stater (22mm, 8.45 gm.) Struck 400/375 B.C. Reference: Pegasi I p. 416, 94. cf. BCD 221. Pegasos flying right. Head of Athena right, wearing Corinthian helmet; behind, caduceus and Λ (faint). 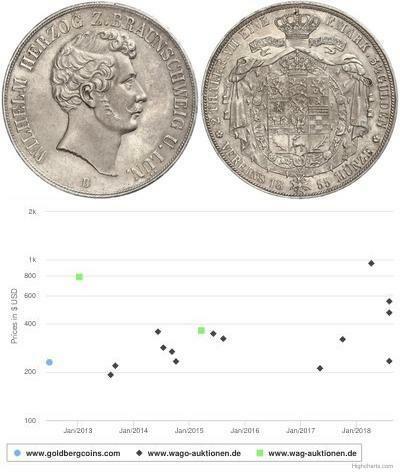 [ 4388] CORINTHIA: CORINTH Silver Stater (20.5mm, 8.54 gm.) 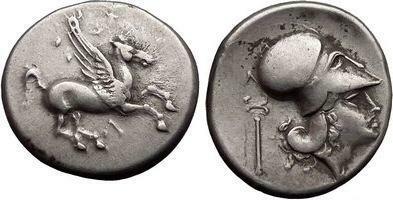 Struck 400/375 B.C. Reference: Pegasi I p. 416, 94. cf. BCD 221. Pegasos flying right. Head of Athena right, wearing Corinthian helmet; behind, caduceus and Λ (faint).